Top-selling blended Scotch whisky, Johnnie Walker, claims to have opened the world’s largest embassy for luxury Scotch Whisky, outside of Scotland, in Beijing, China. The Johnnie Walker House Beijing follows the launch of the Johnnie Walker House in Shanghai last year and is located at the prestigious Ch’ien Men, a luxury development of fine dining restaurants, club and lounge venues. According to brand owner, Diageo, it has created a highly contemporary space, rich in authentic whisky story-telling for the discerning consumer and the opportunity to participate in the art of blending. “Johnnie Walker House Beijing is a multi-sensory experience, showcasing Scotch Whisky culture; it is a luxury boutique, selling the master blender’s finest work; it is a private club, providing a new cultural platform for whisky appreciation; and it is an artistic space, providing inspiration for new forms of creativity,” said Lawrence Law, general manager, Johnnie Walker House. As the global Scotch whisky industry leader with nearly two centuries of whisky craftsmanship, Johnnie Walker House Beijing is claimed to provide an unprecedented exclusive luxury whisky experience for consumers. The house offers a variety of luxury experiences from personalised whisky blendings to bespoke whisky and culinary fusion pairings provided by the gourmet in-house chef Phoebe Cleland. Visitors are said to be immediately immersed in the Johnnie Walker culture and can select and buy rare whisky, as well as participate in the personalised blending sessions. By invitation only, VIP patrons will be given the opportunity to meet personally with John Walker and Son’s master blender to create bespoke blends according to their individual flavour preferences. Guests can also explore the House with the guidance of experts and learn about its design and bespoke art collections, as well be educated on the intricacies of the whisky distillation process. For extra exclusivity, 200 by-invitation memberships will be available for members to access lifestyle experiences as well as private sections of the House such as the Odyssey Lounge and Striding Man Bar. Patrons will also have access to an exclusive concierge service. In addition, ‘relationship managers’ will get to know the preferences of each member in order to ensure the whisky experience is as personal as possible. Members can also take advantage of the concierge service to arrange trips to Scotland where they have access to private distilleries and whisky collections, can sample some of the rarest and oldest whisky in the world, as well as stay in private castles and enjoy access to members-only golf courses. Members are also given special keys to their own tailor-made cabinets to store their own glasses and bottles of whiskies for use at their convenience. “This Johnnie Walker House demonstrates our commitment to growing the Scotch Whisky category and the immersing luxury connoisseurs in the world of Johnnie Walker and it’s heritage, provenance and craftsmanship,” said Rudy Paoli, managing director, Diageo Reserve. The four-storey House is claimed to embody the heritage of the Johnnie Walker brand and the story behind the whisky’s journey to China. The house recreates a distillery and John Walker’s grocery shop to bring historical Scotland to Beijing. The Blending Room features a ‘whisky constellation wall’, which is dedicated to whisky blending and provides a comprehensive index for Single Malt Scotch Whiskies. The Distillery Bar, open to the public, features nearly 10,000 copper pipes to simulate a working distillery. In selective areas of the House, guests are encouraged to create their own whisky-inspired art, with the chance of it being displayed as part of a temporary exhibition. 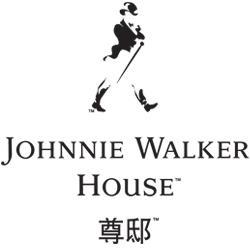 The Johnnie Walker House Beijing is open Tuesday- Sunday, 7pm – 2am. Address: No. 23, Ch’ien Men East Street, Dongcheng District, Beijing.